Part of my cultural background is Polish, and I love it when my mother cooks Kielbasa sausage on a weekend morning. So why not have it for lunch or dinner, too? This is a spicy pasta salad that combines the classic summer flavors of sausage, peppers, and onion. Hope you enjoy, as I have been this week! Chop the peppers and onions into bite sized pieces. In a large sauté pan, sauté the peppers and onions in olive oil and salt and pepper until cooked (not crisp anymore). Cut the kielbasa lengthwise down the middle and then into bite sized pieces. 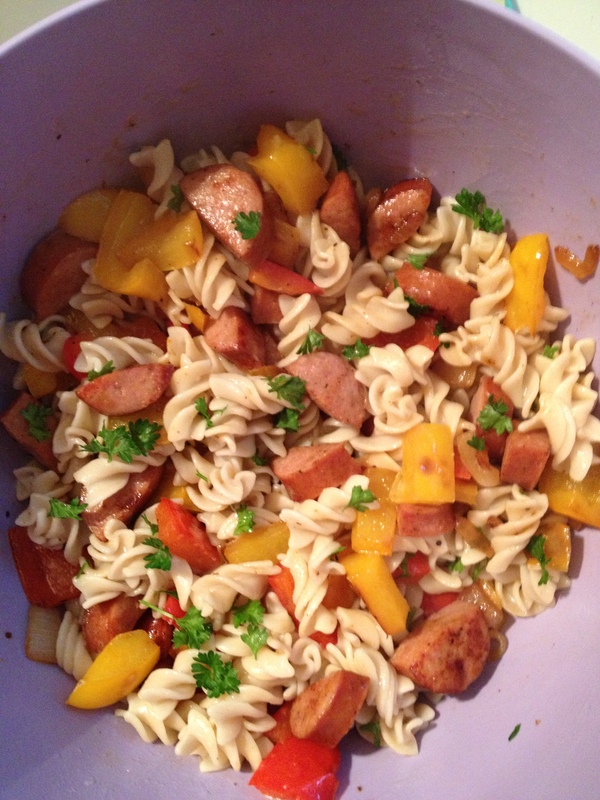 In a large bowl, combine the cooked and drained pasta, peppers, onions, and kielbasa. 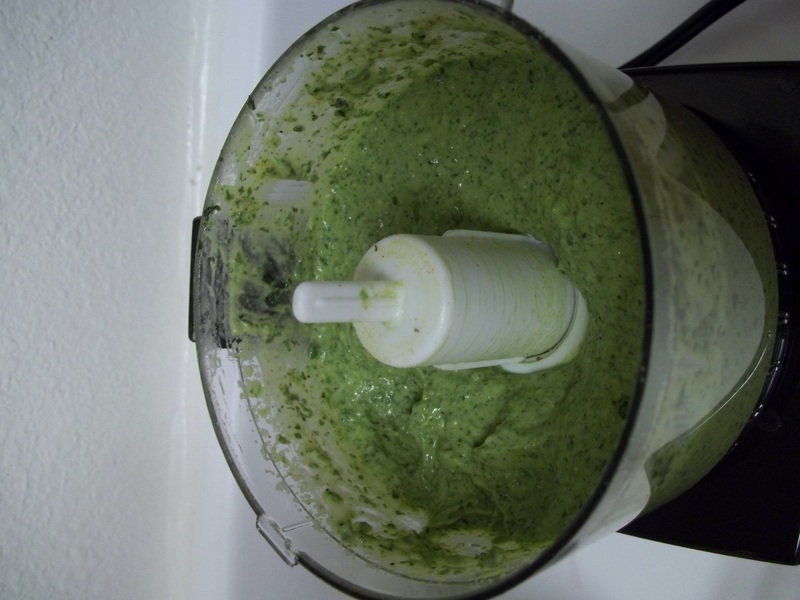 To make the dressing, put the olive oil, white wine vinegar, lemon pepper, thyme, mustard, and honey in a dressing shaker or bowl and shake/stir to combine. 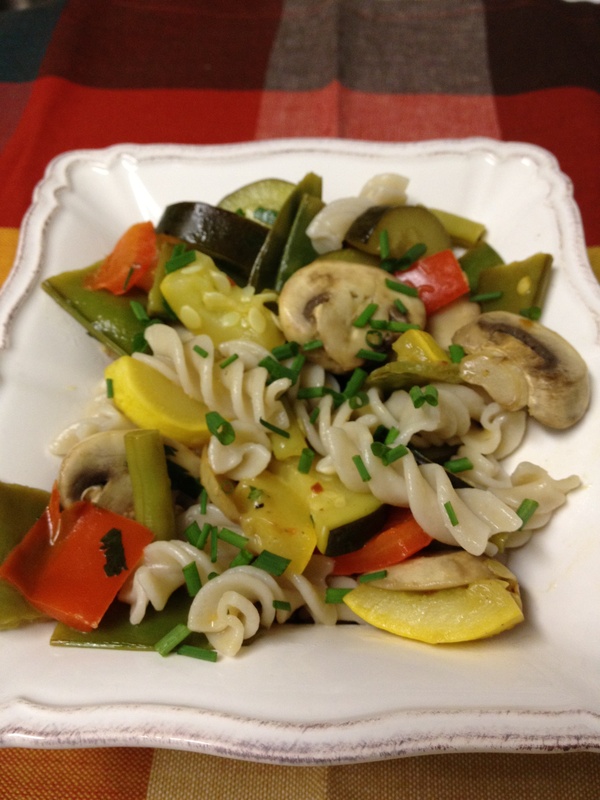 Pour the dressing over the pasta salad and stir to combine. I love trying new ways to cook potatoes. They go with any meal, are easy to flavor, and can be cooked in so many different ways. 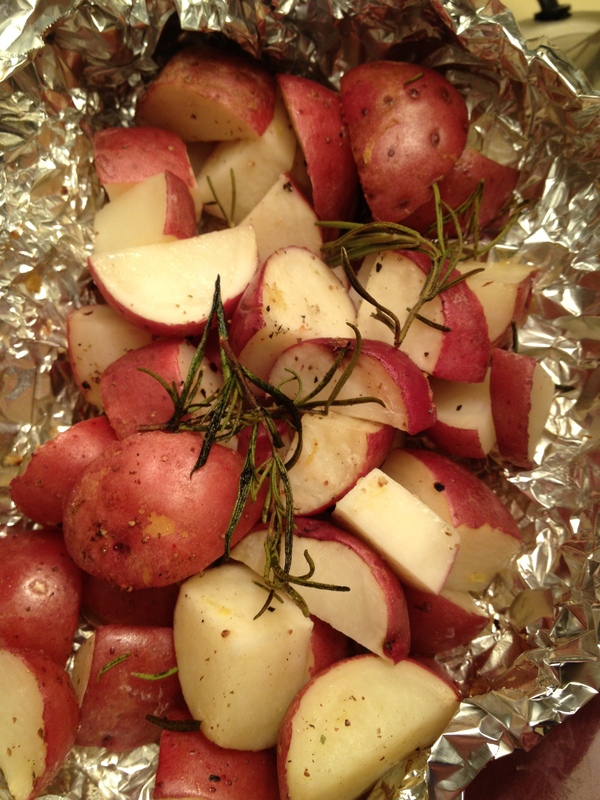 Here, I tried steaming the potatoes in an aluminum foil pouch that I baked in the oven. I imagine you could do the same thing on the grill. 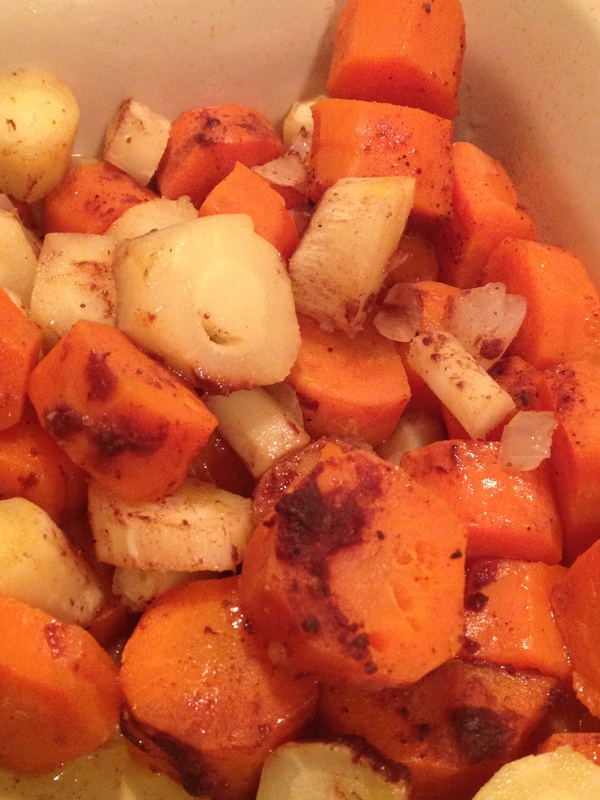 This recipe is also very open to different flavors by just changing what goes into the pouch. Instead of rosemary and olive oil… try paprika and chili powder, or dijon mustard and lemon thyme, or even citrus zest! Cut the potatoes into quarters, or bite sized. Using a large piece of aluminum foil, create a pouch by putting the potatoes on top of the foil. Then sprinkle the olive oil, butter, salt, pepper, and rosemary on top and fold up the sides of the foil. Bake at 375 for about 25 minutes, or until fork tender. You could also steam on the grill, keeping the lid to the grill closed. I love reading menus, naturally. 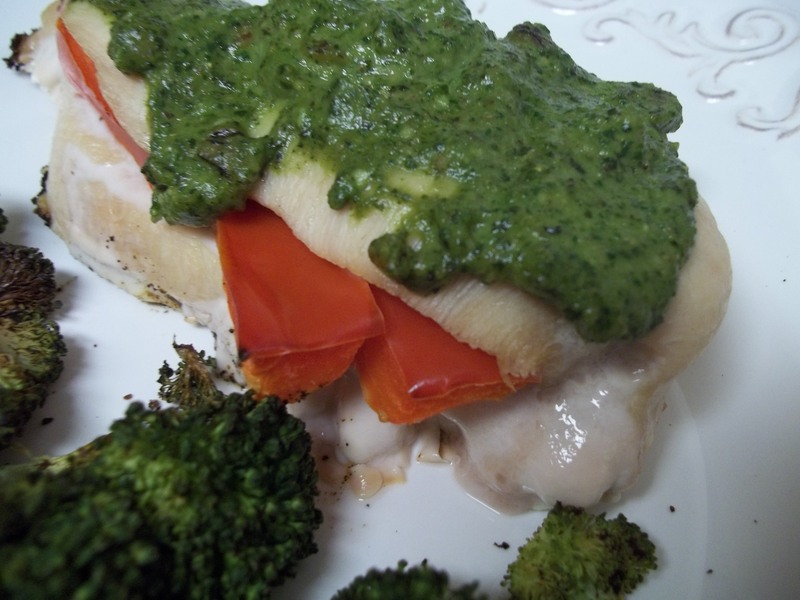 I get ideas on what I can make in my own kitchen, and often find combinations that I haven’t thought of yet. Recently, I went to a local gluten free pizza place and read through their salad offerings. 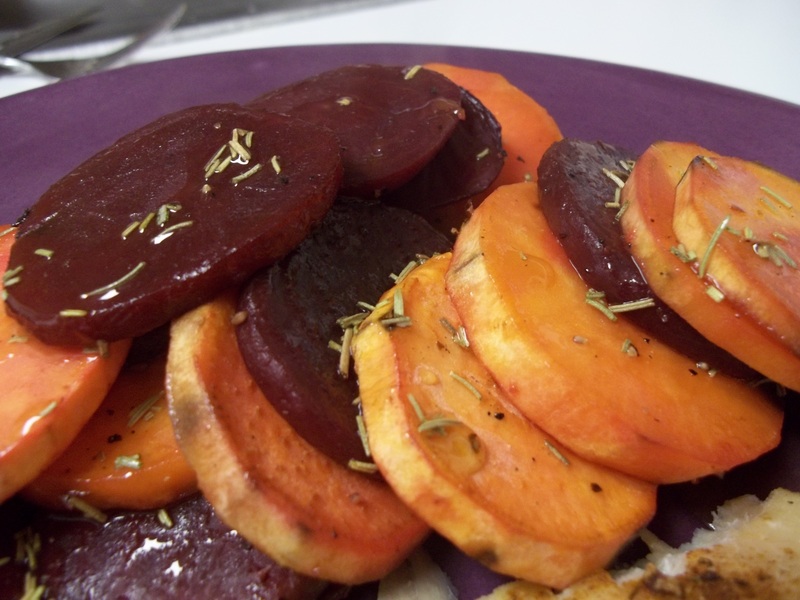 They had a beet said with goat cheese that sounded delicious (I LOVE beets)… but I instantly shook my head and told myself to save the $8 because I knew could make my own version. So here goes! In a bowl or salad dressing canister, combine the goat cheese, olive oil, white wine vinegar, lemon pepper, salt, honey, and parsley. Use a fork to stir and combine until creamy. 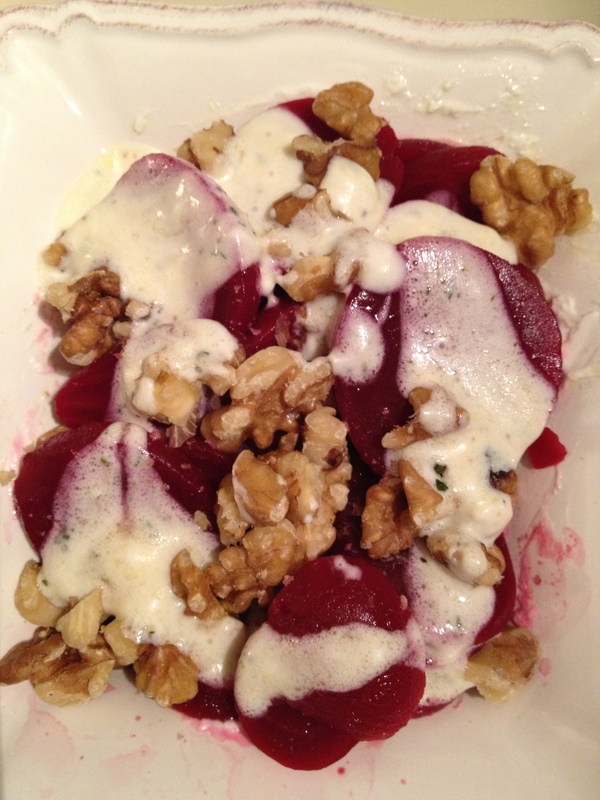 Top the beets with the dressing and a sprinkle of walnuts. Summer practically begs for fresh tomato and basil salads. It is such a fresh combination, and summer is the perfect time for home grown basil. Here is a tomato basil salad that will add some spice to any summer night… it certainly isn’t what you are expecting. And one of my new favorites. 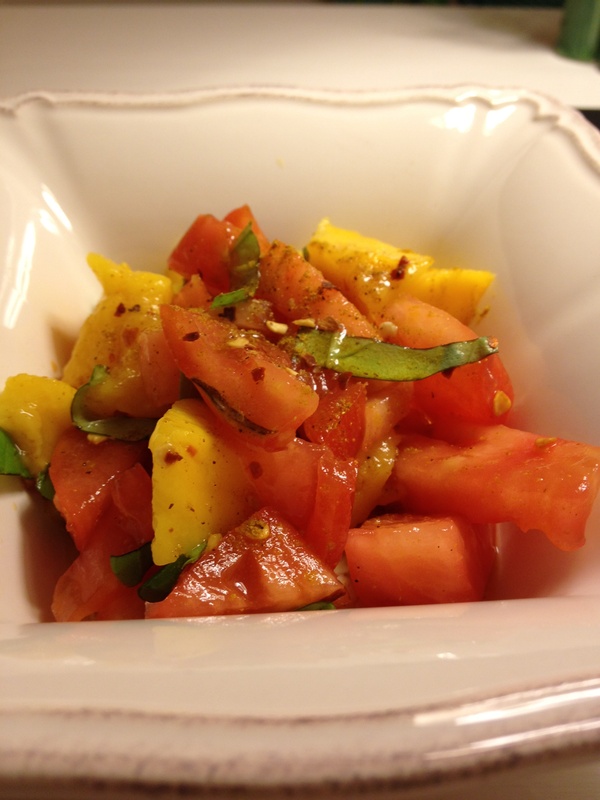 Chop the tomatoes, mango, and basil. 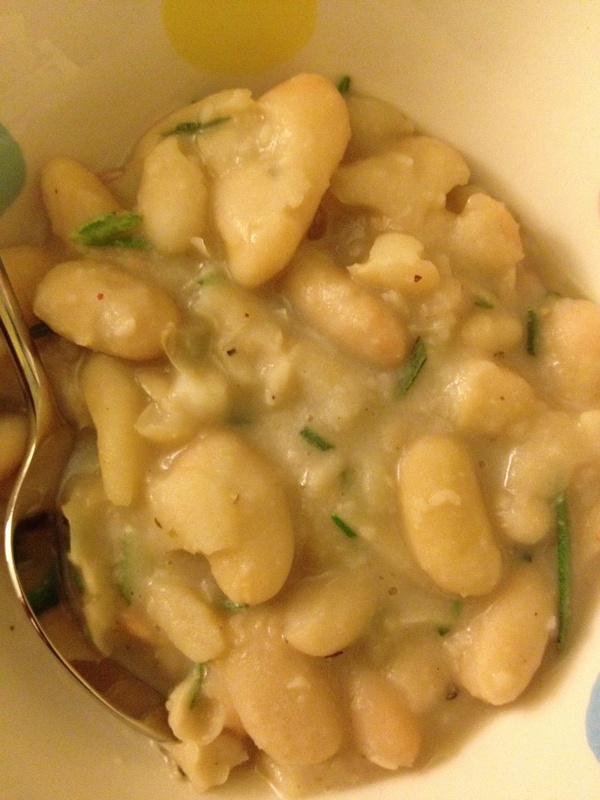 Toss in a bowl, drizzle with olive oil. Sprinkle curry powder, red pepper flakes, and salt and pepper. With my new house, I also got a new grill and have been loving it during these summer days! It doesn’t heat up the kitchen the way an oven does, and is really easy to use. Among burgers and hot dogs, I have been trying different grilled chicken recipes. 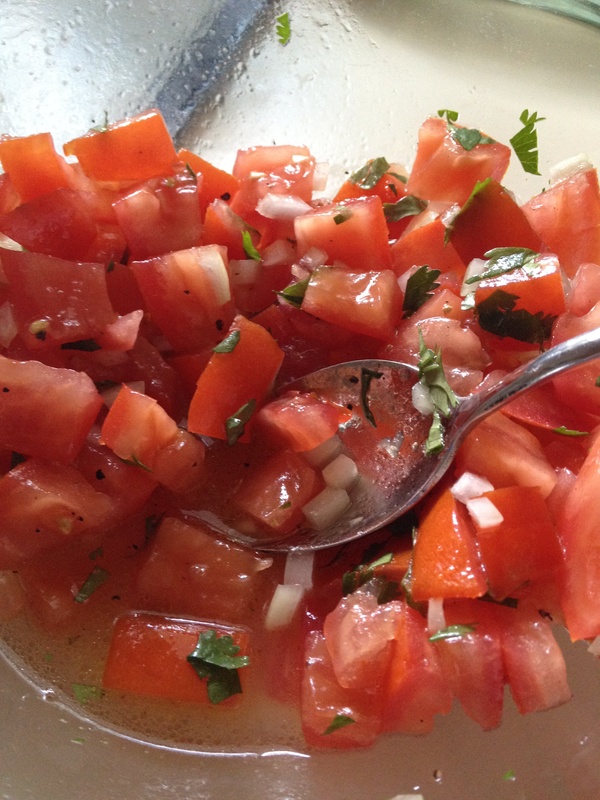 Here is a fresh salsa recipe to put over plan grilled chicken. Dice the tomatoes into small pieces, being sure to scoop or cut out the seeds and core. In a large bowl, add the diced tomatoes, onions, lime juice, chopped cilantro, olive oil, and salt and pepper (and optional peppers). Stir to combine and let sit for at least an hour to let the flavors mingle. Grill the chicken tenderloins, about 3 minutes each side until cooked through. 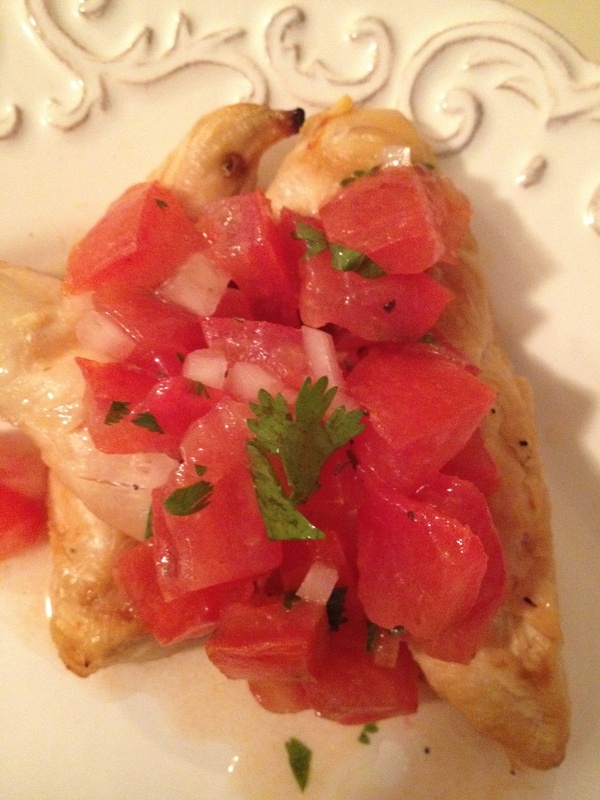 Serve the chicken hot with some fresh salsa spread on top.